White Sox front office's scouting report on No. 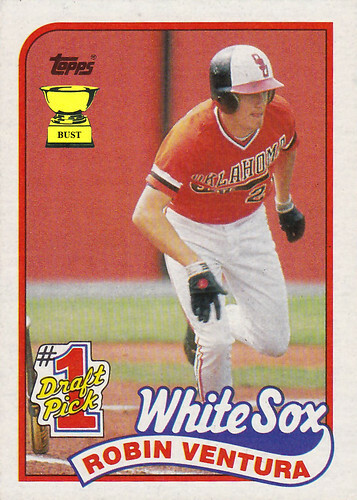 1 draft pick Robin Ventura: "Says here the name is 'Robin.' We sure we drafted a male? ... Based on the only photo we've seen of him, we're not sure he has eyes. ... Rumor from the college ranks is that this kid has a history of clashing with old men. Do we think that will be a problem in the big leagues? ... We'll have to alter his orangutan running style. ... Let's keep an eye on him; he wears Orenthal James gloves. ... Wait: White Sox, black gloves. Um, color clash nightmare! Not sure this will work. ... We vote for nicknaming him 'Ace.'"